Russian social networks are humming with calls for massive demonstrations after a young football fan was stabbed to death near Moscow at the weekend. Though nobody has been convicted, nationalists blame the killing on youths from the North Caucasus. ­Tensions started to rise when two soccer fans were injured, and one of them later died from his wounds, after a brawl with youths believed to be of Caucasian origin in Podolsk, a town on the southern outskirts of the Russian capital, on October 1. A group of young people was queuing outside a dance club in the town when an argument broke out with two unknown men, a source in the Investigative Committee told Interfax news agency. When the argument came to blows, a man believed to be of Azeri origin produced a knife and stabbed the two youngsters, one of whom later died in an ambulance en route to hospital, Interrfax reported, quoting Investigative Committee sources. The perpetrator managed to escape and is now being hunted by police. 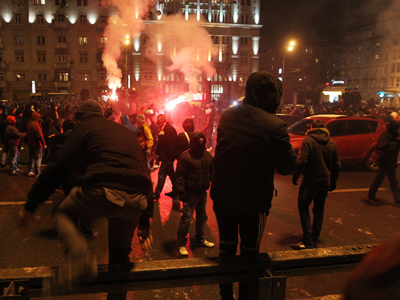 However, soccer fan forums and social networks are providing another angle on the fight in Podolsk. Andrey Uryupin, the murdered Moscow CSKA fan, had been celebrating his birthday in one of the major shopping centers, wrote fans who had heard the news from Andrey’s friends. The 18-year-old had invited close friends to the club, but some uninvited guests gate-crashed the party. The message on social networking sites said they were of Caucasian origin. The two groups clashed and security men pushed them outside, where the men, whom they identified as Dagestani-born, produced knives and stabbed Andrey and one of his friends, wrote one user of Fanat1k.ru website. “Andrey, wounded twice in the chest, ran to a nearby car, but fell down. We were waiting for the ambulance for about 20 minutes, Andrey died on the way to the hospital. His friend Dmitry was injured too, but he’s now out of danger,” reads the message on Fanat1k.ru. However, the Investigative Committee has officially stated that there is no evidence that the attack was motivated by ethnic or national rivalries. “The nationality of the suspect was not the cause of the killing and the investigation has obtained no evidence that national motives were behind the brawl,” said Vladimir Markin, the spokesperson for the Committee, on Tuesday. The killing of the soccer fan is not the first in Russia and may pour more oil on the growing flames of anti-Caucasian sentiment. 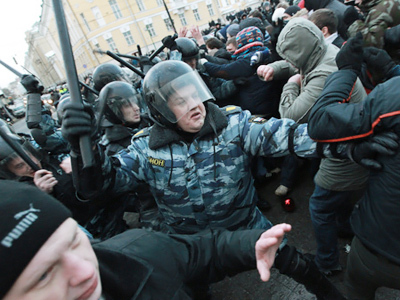 The majority of nationalists in Russia appear to be young and, in most cases, uneducated men. Such groups are easily influenced to become involved in mass actions. Russia’s social networks are currently the platform of choice for calls for nationwide protests against government finance for the Caucasian republics. 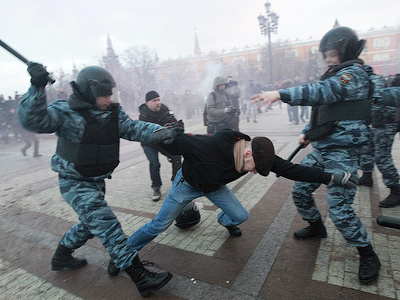 Activists have named October 8 as the date for a gathering in Moscow. 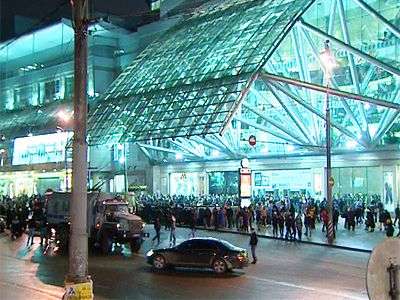 Following the Manezh square demonstration in December 2010 which caused major unrest in the capital, soccer fans and nationalists are calling for an even larger protest action. 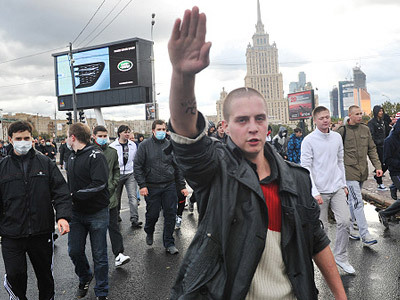 Last weekend, Moscow also witnessed several nationalist demonstrations in what is being seen as a sign of a growing tendency towards extremism among young people. On Monday, Russian nationalist groups filed a request to Moscow’s administration for a traditional nationalist demonstration timed to coincide with the Day of People’s Unity on November 4. They plan to bring some 20,000 people onto the streets of central Moscow this year in what looks set to become the biggest nationalist show of strength in the history of modern Russia. And it looks as if the latest young victim of knife crime may be appropriated as a martyr and symbol of the growing nationalist struggle.